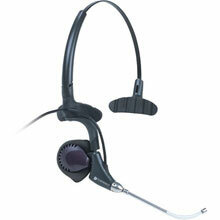 The Plantronics P171 DuoPro Polaris Headset has been discontinued. No direct replacement is available. The P171 DuoPro Polaris Headset offers more wearing styles and innovative features than any other headset: there is the uncompromising design of our convertible model that delivers superior comfort, sound and reliability, the unique double T-pad headband on our overthe- head model so there"s never a speaker pad pressing on your ear, the ergonomic earloop for over-the-ear convenience, exceptional comfort and stability, and the new behind-the-head neckband for a discreet, stable fit.